Command.app targets trade show exhibitors with a new business-to-business communication app. Formerly known as Reactor Suite, Command.app recently changed their name to better reflect the dynamic nature of the platform. The app is designed for iPad and kiosk presentations making it a perfect fit for trade shows and exhibitions. Exhibitors and booth visitors can access a company’s marketing and sales presentation in an interactive and non-linear fashion. This dynamic delivery system allows sales teams to take control of their presentations and meetings in a completely new and innovative way. Based outside of Kansas City, Command.app leverages over fifteen years of experience in the digital media world to provide clients with cutting edge business solutions. The app has a progressive and well thought out structure that enhances business communications, especially in a trade show environment. “Specializing in making complex product offerings more clear and accessible to the customer is where Command.app really shines. It can turn a presentation into a conversation,” said Co-Founder, Brett Davis. Sales teams are able to quickly get to the right information at the right time. The intuitive and seamless navigation brings a high level of technology to any exhibition booth. 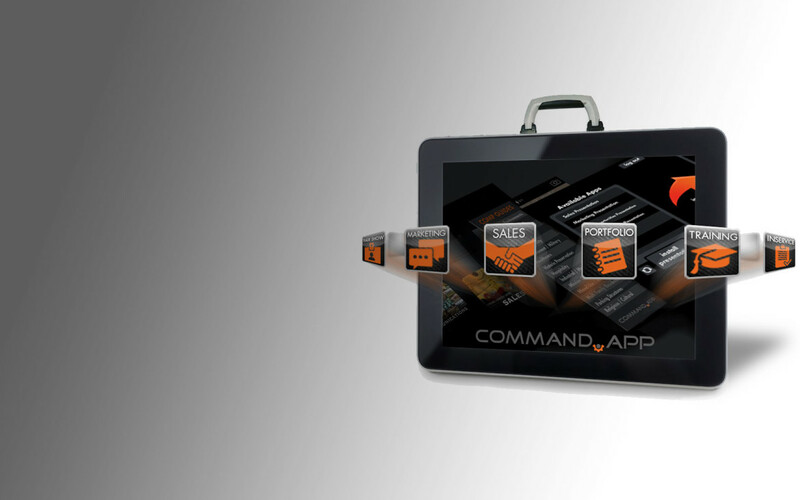 Command.app is positioned to help companies transform the booth experience and beyond. Contact Michael Corbin, head of Sales and Marketing with Command.App to schedule a demo for your company or for additional questions. He can be reached at Michael@command-app.com or 913-706-6900. Visit command-app.com for additional company information. Command.app is a mobile applications company focused on providing cost-effective, dynamic presentation solutions for companies in the areas of trade show exhibitions, sales, marketing and training. With extensive experience in mulitimedia, programming, marketing and sales strategy, Command.app has created a platform that allows clients to revolutionize the way they communicate.